The top of the line AC power Conditioners. 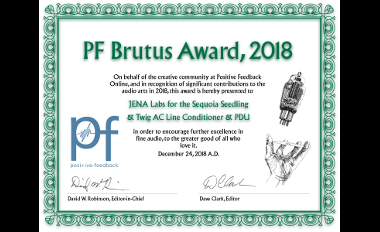 This was developed over a long period of time, evolved to fit the environment it thrives in, producing the most environmentally tranquil AC Power from a very harsh world of AC power noise. Sublime yet absolute control and protection beyond expectations. The award winning heart of the design is found in several of our products because it just works so well... Exclusively designed and made by . this is defining an Elite product because there is nothing better. 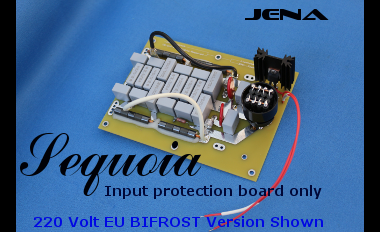 All Sequoia main-board* based designs include the BIFROST© voltage... and current circuit protection electronics. 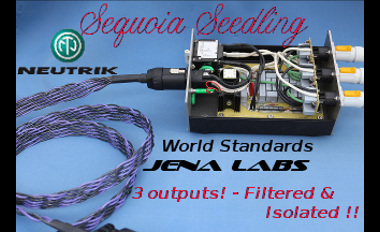 The Sequoia is unlike any product made. Authentic in every way... First and foremost it Performs phenomenally great. ...which means the in and outs are of a locking type to prevent accidental AC pull outs. 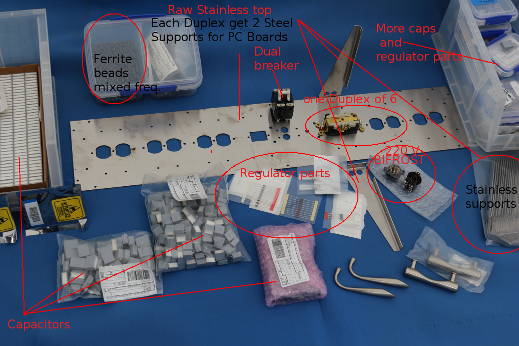 Neutrik Locking 32 Amp input system components. In the Standard NEMA... system with heavy duty 20 Amp Rated Duplexes. And the 20 Amp IEC Hubbell input connector (not Locking) optional selection. The outer case is real Bamboo and the Stainless Steel Top plate is 304 SS of heavy gauge (.105 in) 2.65 mm approx. 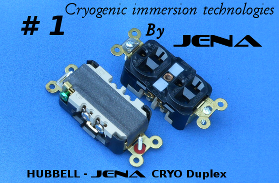 6 Hubbell/JENA NEMA (USA) Cryo Duplexes Or 12 Neutrik 20 Amp outputs. Bamboo wood Case - grain direction is a choice the customer has when ordered. Dual magnetic world standard circuit breaker. JA2 Series is replaceable, if ever needed to be. Regulated pilot light for different countries ac power. 120 - 220V AC. Green Led was enhanced with soldered construction not a mere push in connections for a long life. Rails rated to 20 amp. High current capable ground rails for each filter. BIFROST* over volt protection system. Lugged attachments to the Duplexes or Neutrik power-cons - they are replaceable. Soldered with Cardas Quad Eutectic at all junctions to the beefy Printed Circuit Cards. Normally without feet as the orientation in use can be vertical, horizontal or on the sides - Options for other feet custom as desired. 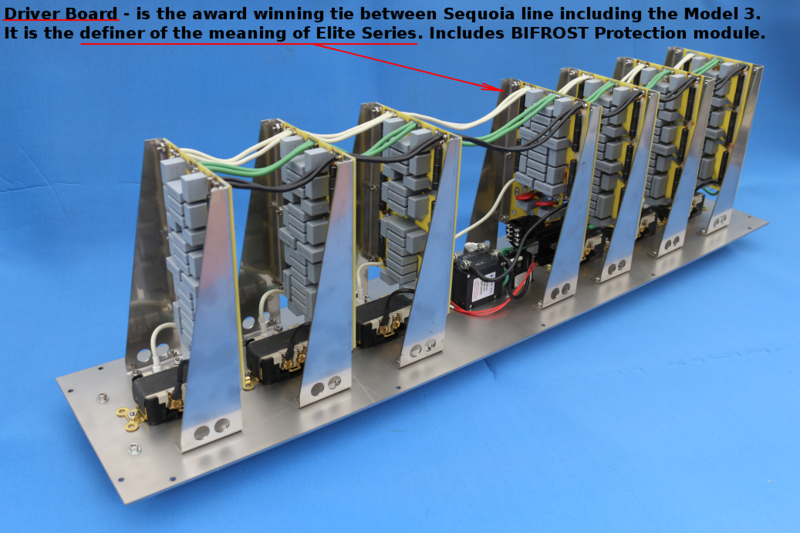 The latest version of the Sequoia AC power conditioner has a new top plate with laser etched name "engraving"
Amplifiers - Pass Labs XA160.8 mono blocks. Speakers - Parmenter Fat Boys. Cables - Jena Labs Aurora Interconnects and Twin 11 speaker cables. Power Conditioner - Jena Labs Sequoia. Turntable - SME 30.12a with SME V12 tonearm. 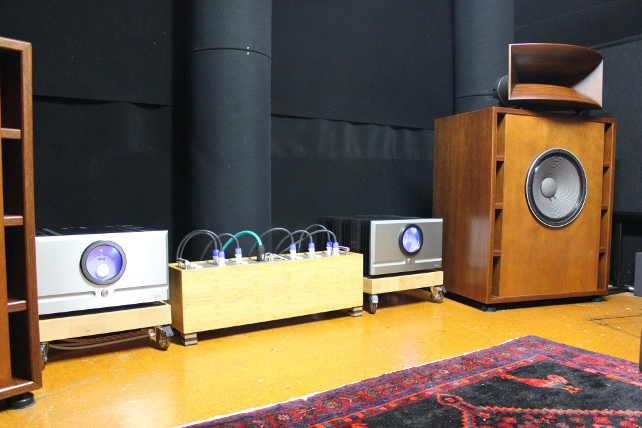 Phono Stage - Pass Labs XP27. DAC - Lampizator Golden Atlantic balanced. 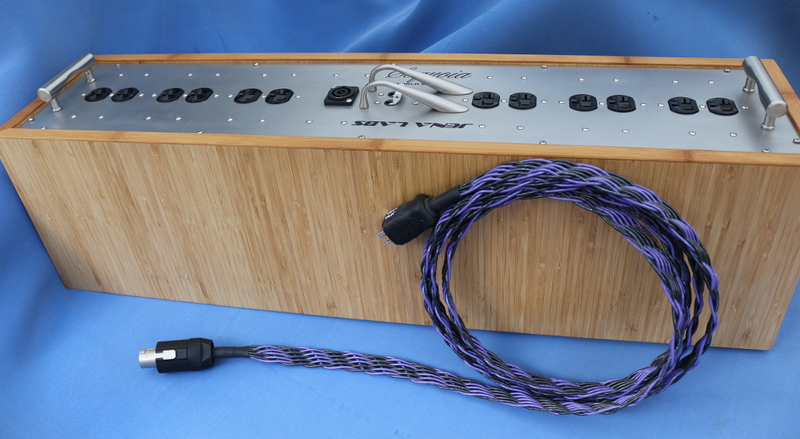 Above: Fully Wired, The Bamboo case is lined with cork for anti-vibration. Why are we showing the inside of it, when other company's are fearful of showing what they made. ...It is not an embarrassment, It is pure achievement, nothing competes with this AC Power Conditioner. 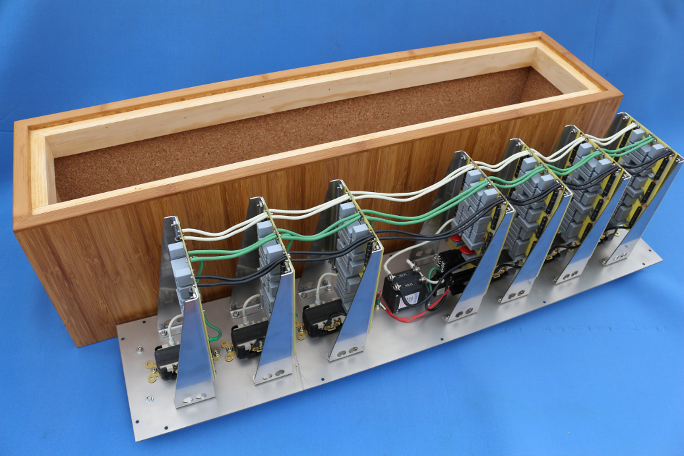 There are 6 individual Boards identical to each other over the six Duplexes or over 12 Power-con 20 amp output in pairs. 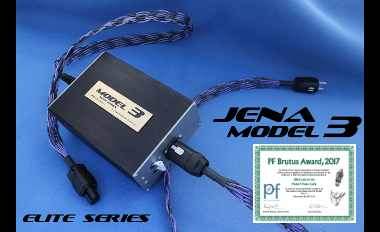 Above: Early version, Fully Wired NEMA Version. these Products have been reviewed.. and won awards on performance. 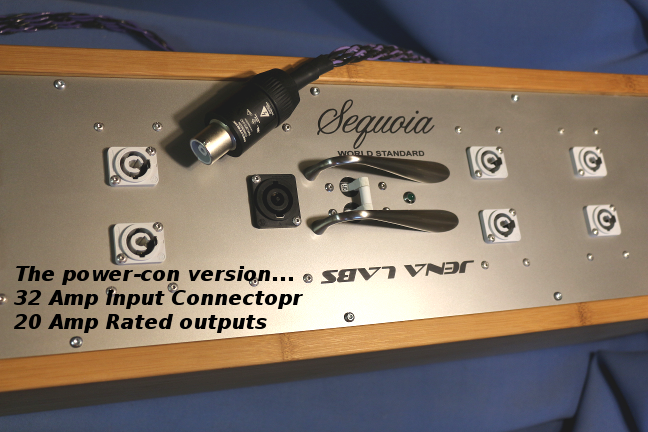 The Sequoia driver stage as a main-board alone can provide enough AC conditioning to support entire products and do so.